Leigh Whannell doing action? Count us in. He’s also doing meat/tech dualism. 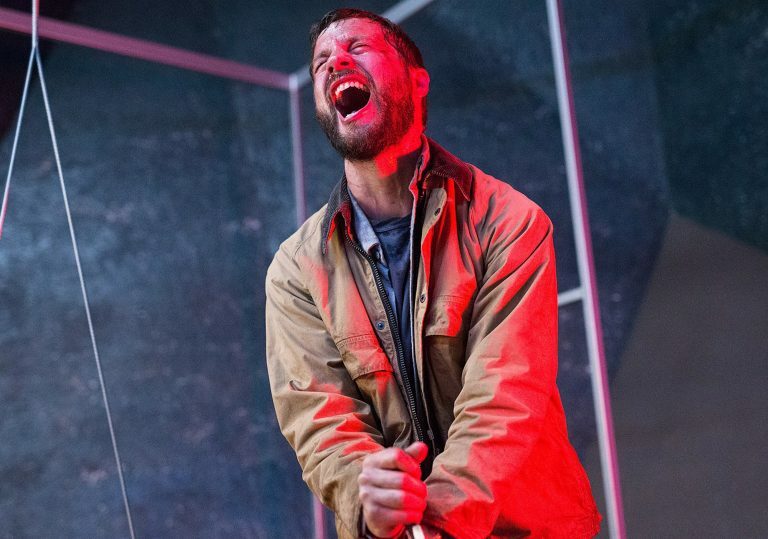 The second film (after 2015’s Insidious: Chapter 3) to be written and directed by Leigh Whannell, Upgrade opens with a contradiction. After the names of the film’s various production companies, and even its title, are read out in a Siri-like voice to the accompaniment of CG imagery, we see Grey Trace (Logan Marshall-Green) working on the motor of a classic Firebird Trans Am. It is the future, but Grey surrounds himself with the pre-computer detritus of the 20th century – an analogue man in a digital age. When a gang shoots his wife (Melanie Vallejo) dead and leaves him a paraplegic, our Luddite protagonist has an experimental implant attached to his spine by cybernetics genius Eron (Harrison Gilbertson) and finds himself occupying a Grey area between his own human consciousness and the high-tech system (named STEM, and voiced by Simon Maiden) now coordinating his bodily actions. This is, at least initially, a revenge-driven action film, as Grey goes after the men (themselves bionically enhanced) who ruined his life, and discovers that STEM can do things with his body that he could never himself do before. As a consequence, the fight sequences are refreshingly odd in their conception, with Grey an awkward puppet to his own kickass moves. 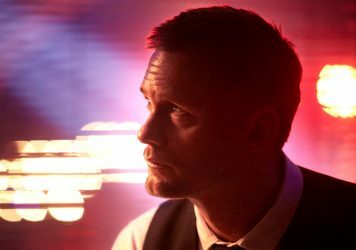 Yet Whannell’s film also brings a technological upgrade to Robert Louis Stevenson’s ‘Strange Case of Dr Jekyll and Mr Hyde’, as the hybrid Grey becomes ever more conflicted with himself in a struggle for control as much internal as external. Marshall-Green’s oft-noticed resemblance to the star of Marvel’s forthcoming Venom means that Upgrade is one of two films released this year that will see a Tom Hardy-like hero doing battle with his other half. In one way or another, though, it is Whannell’s film that is the singularity. Duncan Jones’ spiritual sequel to Moon is a neon-drenched nightmare – and not in the way anyone intended. 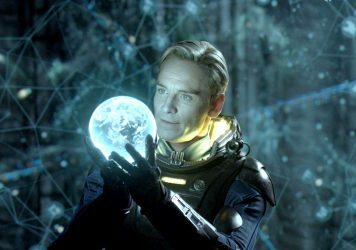 Ridley Scott’s sci-fi saga is an overreaching folly that’s well worth seeing on the biggest screen possible.